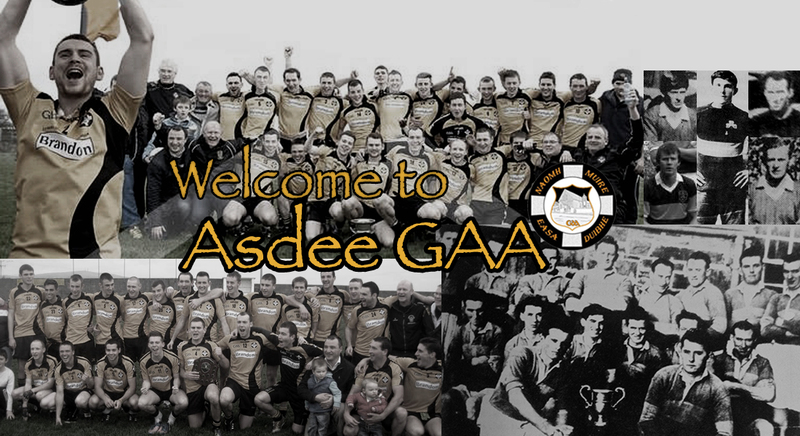 Asdee travelled to Killarney to take on Fossa in the opening match of their defence of their County & Munster Titles. The home side are in contention for promotion to County League Division 3 so would have gone in to this game as favourites, particularly as Asdee were missing a number of players due to injury and work commitments. However, it was the north kerry side who probably had the better of the opening half and if they had converted more of their chances would have gone in a number of points ahead at half-time. Paul O’ Carroll opened the scoring with a point after 4 minutes. The visitors missed a number of chances before Fossa struck for a goal in the 9th minute. Darran Russell responded with a score on the 11th minute before Fossa went further ahead with points in the 12 and 13 minutes. Darren Russell scored a fine point in the 19th minute and an Eoin Kennedy effort on the 22nd minute left the scores Fossa 1-02 Asdee 0-03. There last five minutes saw both sides register scores with Michael Breen and Darragh keane twice hitting the target and Fossa also added another three points before half-time. Asdee went trailing by one point at half time on a scoreline of Fossa 1-05 Asdee 0-07. Unfortunately, the killarney side had the advantage of a strong breeze in the 2nd half and managed to improve their performance. Asdee only managed four 2nd half points. Their scorers were Kieran kelly, Eoin Kennedy and Michael breen who converted two frees. With 15 minutes to go Fossa had opened a six point lead and looked to be cruising to victory. Asdee did produce a fighback briging it down to three points and despite making several attempts to try and find the equalizing goal it was Foosa who scored the insurance point to seal the win. Despite a brave effort Asdee surrendered their County Title. Team and Scorers: Eoin Tydings, Brian Couhlan, Eoin O’ Carroll, Con Carmody, Kieran Kelly, Darren Russell, Charlie Dalton, John Doran, David O’ Connor, Paul O’ Carroll, Darragh Keane, Michael Tydings, Denis Dalton, Eoin Kennedy, Michael Breen. Subs Padraig Buckley for Charlie Dalton (blood).